Uday qualified from Bristol University in 1984. He then went onto study in America where he attained a DDS qualification, and a license to practice in the State of Florida. On returning to England he has worked in a general practice and was interested in all aspects of Dentistry. He has pursued a passion for Advanced Cosmetic and Restorative dentistry along with a special interest in Implantology. Uday has undertaken courses in Implantology under the personal guidance from Dr. Hilt Tatum and Dr. Carl Misch, who are both world-renowned Implantologist. Uday is a member of the American Academy of Cosmetic Dentistry, and a Fellow of both The International Congress of Implantology and The Carl Misch Institute. 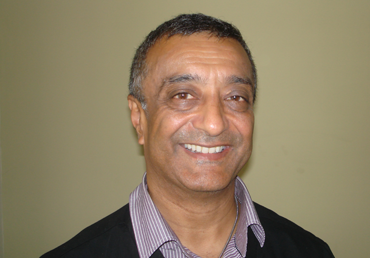 Uday has been a Trainer for newly qualified Graduates on the Vocational Training Scheme for almost 25 years and has trained and guided many dentists into their chosen profession. Just like his fellow colleagues at the practice, Uday appreciates the importance of continued education, and regularly attends Clinical seminars and courses to keep his knowledge in dentistry up to date.